LOS ANGELES, CA – Eighty-seven countries have submitted films for consideration in the Foreign Language Film category for the 91st Academy Awards®. Malawi and Niger are first-time entrants. Yemen, “10 Days before the Wedding,” Amr Gamal, director. 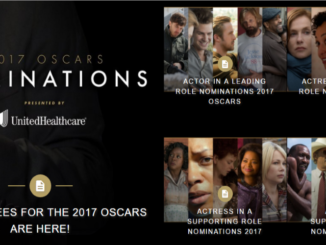 The 91st Oscars® will be held on Sunday, February 24, 2019, at the Dolby Theatre® at Hollywood & Highland Center® in Hollywood, and will be televised live by the ABC Television Network. The Oscars also will be televised live in more than 225 countries and territories worldwide.